These Jotul Gas Inserts | Gas Fireplace Inserts will provide a warm gathering place for your friends and family. Explore these gas fire inserts at Bare's Stove and Spa. Transform your drafty old fireplace with one of these Jotul gas inserts and turn your old fireplace into a powerful home heater. These timeless Jotul inserts will compliment any home’s décor and application. Visit Bare's Stove and Spa today! The Bare's Stove and Spa showroom is open Monday through Saturday for your shopping convenience. Please browse the gas fire inserts below and contact the Bare's Stove and Spa team with any questions. ​The Jøtul GI 450 DV II Katahdin offers the latest avdvancements in gas innovation. 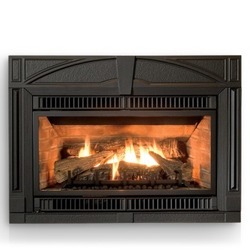 This Direct Vent Gas Fireplace Insert is titled for the tallest peak in Maine; Mt. Katahdin. Packed with features and style, this unit will bring Maine charm into your home. The Jotul GI 535 DV IPI New Harbor Gas Insert is named after the charming coastal town of New Harbor. 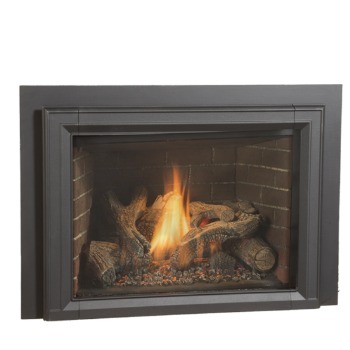 The 535 DV IPI New Harbor is the perfect blend of craftsmanship and modern hearth design. This model can heat up to 1,400 square foot space. The Jøtul GI 635 DV IPI Newcastle Gas Insert is a blend of modern cast iron and traditional charm. 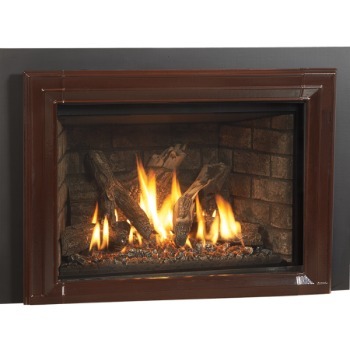 The Newcastle transforms your hearth into an attractive centerpiece for your home. This 635 model provides amazing function and design. The Newcastle includes a seven piece beautifully detailed log set.